Your garage door protects your car and other important possessions safe from external threats like the weather and thieves. It also often acts as alternate entry to your home or your commercial building. The lock on your garage door is as important as the lock on your front door. If you need to get your garage door repaired or replaced – or you need a brand new one installed on your hitherto unprotected garage – you can call Town Center Locksmith Shop. 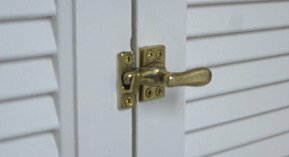 We provide quality locksmithing services to the residents of Riverside, CA. We can get you new garage door locks in no time at all. Town Center Locksmith Shop locksmiths are all experienced professionals. We have worked on a large number of locks over the years – including electronic and mechanical ones – and even the most intricate ones don’t faze us anymore. We can install high-security garage door locks – no matter the type of the garage door – in no time at all. We use cutting edge tools for the job, and are available to work overnight at a reasonable baseline rate so we don’t disturb your schedule (or business schedule). Our mobile locksmith vans allow us to reach all areas of Riverside, CA in quick time for on-site service. Call us on 909-347-7198 to have our friendly customer service representative send our team over with new garage door locks for your property. We pride ourselves on our lightning fast response!